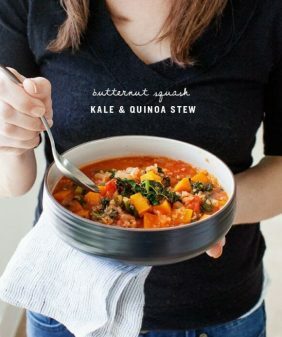 A hearty & healthy vegetarian and GF main for Thanksgiving! 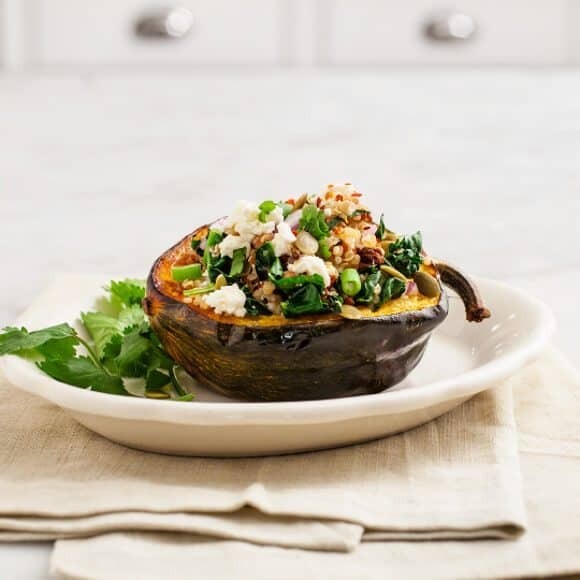 Squash is stuffed with a spiced kale and quinoa sauté with pepitas for crunch and feta for tang. Preheat the oven to 425 degrees. 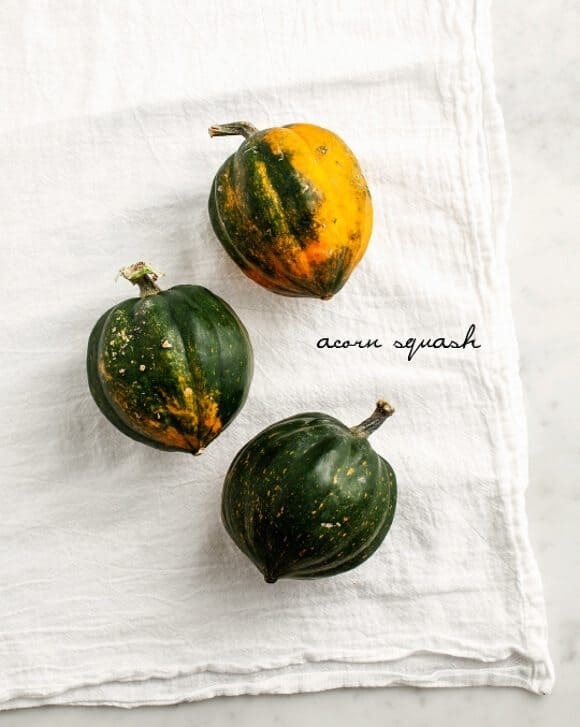 Drizzle the acorn squash halves with olive oil, salt & pepper. Place cut side down and roast for approximately 25 minutes. Flip them over and cook cut side up for approximately 10-20 more minutes, or until the flesh is tender and the outer edges are golden brown. I turned on my broiler during the last couple of minutes to get a nice golden edge. Meanwhile, in a large skillet, heat a few tablespoons of olive oil. Add the chopped onion and a bit of salt and pepper and cook for a few minutes, until it starts to become translucent. Add the garlic, cumin & cinnamon and cook, stirring, until fragrant but not burning. 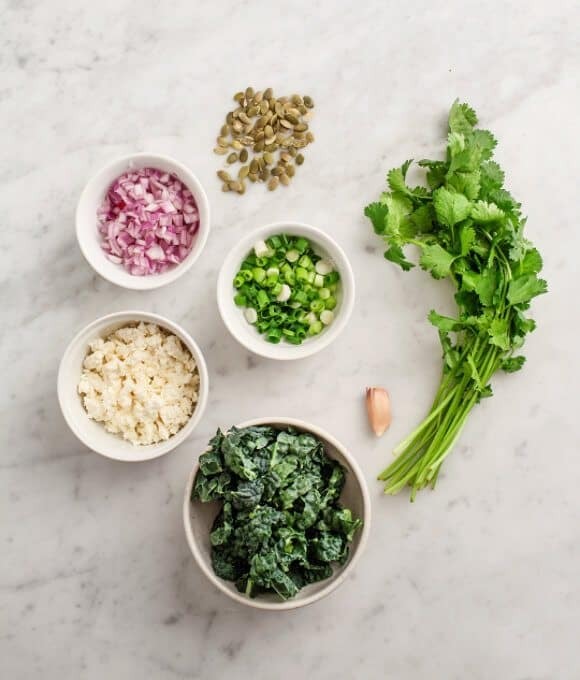 Mix in the kale and cook for a few minutes, until the kale is wilted. 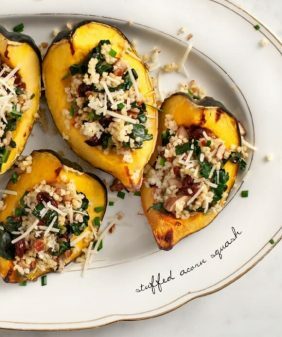 Turn off the heat, add a splash of balsamic vinegar, the cooked quinoa, and a good drizzle of honey and toss. Next, mix in scallions, feta, if using, currants, cilantro, and a pinch of red pepper flakes. Taste and adjust seasonings. 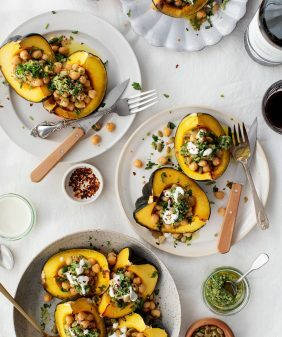 Scoop the filling into the cooked acorn squash, and top with toasted pumpkin seeds, more feta (if you wish), and a drizzle of olive oil and more honey. 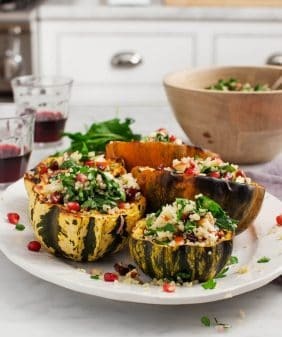 Alternatively, you could fill the squashes with the stuffing halfway through their roasting time – top them with freshly grated parmesan or pecorino cheese and bake them until the cheese is bubbling. The filling can be made up to a day in advance. Store refrigerated in an airtight container. (Keep the pumpkin seeds separate so they stay crunchy.) 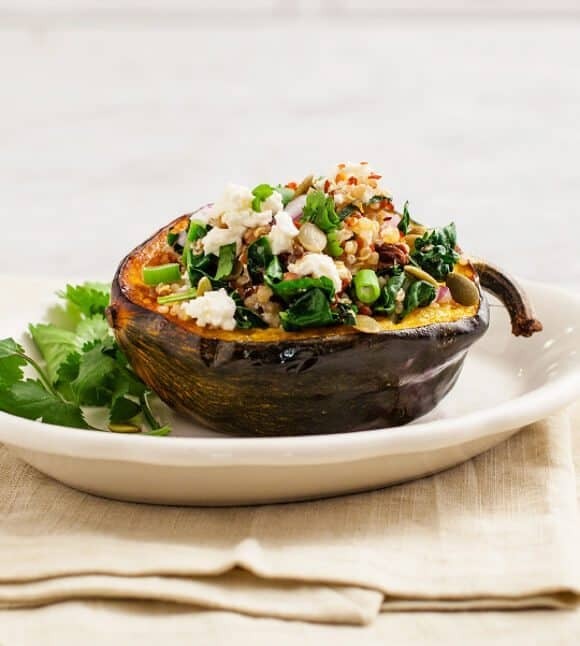 When you’re ready to serve, reheat filling in a warm skillet with a little bit more olive oil. Top with the garnishes in step 3. Oh! 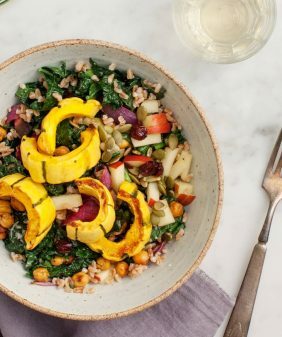 I literally just pulled out the quinoa to make something for lunch, this looks perfect! 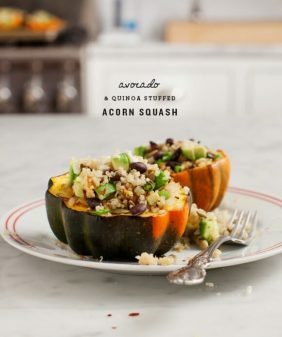 This looks so yum. thanks for sharing the recipe. Glad you liked it, thanks for sharing! !